Last night I received an email from a reader of this column asking my advice about her 2003 Toyota Camry. She has owned and driven this car since she bought it new more than 10 years ago. She takes very good care of her cars and her Camry performed flawlessly. She has had her cars serviced regularly by an independent mechanic for 15 years who she knows and trusts. A short time ago, while her husband was driving this car the starter malfunctioned, the a/c quit, the car overheated, and the needle was buried in the hot range. This all happened at the exact same time. She took the car to her independent mechanic and he and he replaced a cooling fan in the a/c, gave her a new ignition coil, and also did something with the radiator since all the coolant was gone from it. The bill was almost $1,200.00. Well, you may have already guessed what comes next. When her husband picked the car up from the mechanic, he only drove 10 to 15 mile and the car quit again, doing all the exact same things. He managed to get it back to the mechanic who also was completely baffled by what happened. At his point, her mechanic did what he should have done before he made the previous repair. That is to check with the manufacturer of that make car through the Internet or a local dealer. When he did check, he found that there was something called a “Technical Service Bulletin” issued on this year and model Toyota Camry, TSB SB-0015-11 which exactly describes the conditions that occurred with the car, and the recommended fix. Obviously, the woman who emailed me wanted to know why Toyota had not advised all owners of the year and model of this Technical Service Bulletin. If she had known, she could have taken precautionary measures when the described symptoms occurred or even taken it to her mechanic or a Toyota dealer for an inspection. Now she’s wasted $1,200 and is faced with replacing her engine. Of course, this makes no economic sense on an 11 year old vehicle. 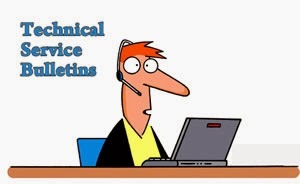 Technical Service Bulletins, TSB’s, are sent only to dealers of the manufacturer of that make car, not to independent service departments or mechanics. They are not made public and not shared with owners of the model the TSB is issued on. One might ask, what’s the difference between a TSB and a “recall”? The manufacturers take the position that recalls are for widespread problems with a particular model or a safety issue. For this particular TSB, my Toyota representative said he had experienced only two occurrences. But this is only for his territory in part of South Florida. He doesn’t know how many problems have occurred worldwide. As far as safety issues are concerned, in my opinion, that’s a matter of opinion. Is it a safety issue if your engine blows up while you’re driving 75 mph on the turnpike in heavy traffic? Some would say, yes. In my opinion, owners of models affected by TSB’s should be notified as a precautionary measure even if only a few cars of that model are affected. I think there are three reasons manufacturers don’t do this. First, no manufacturer likes to tell people when they’re having problems with a car they manufactured. As you know, sometimes manufacturer’s wait so long to notify their customers of product defects that the National Highway Traffic Safety Administration, NHTSA, has to order them to do so. The second reason is that if they told the owners of that model of a particular problem, the owner might bring her car into a dealer and have the problem fixed under warranty. Whereas, if the car fails at a later date and is out of warranty, it costs the manufacturer nothing. The third reason is that manufacturers are very concerned about dealers who will use any excuse to repair a car. They’re afraid that the dealer will take advantage of the manufacturer or the customer (depending whether the car is under warranty or not) and do work on the car that isn’t needed. This is only my opinion and all manufacturers will vehemently deny this. My advice is to check with the car dealer that services your make of car and ask him if there are any Technical Service Bulletins issued on the model and year you own. You should be sure that your dealer does a thorough check. Dealers often overlook TSB’s because there are so many of them and such a small percent of models and years under the TSB actually have a problem that materializes. You can also check directly with the manufacturer for this information and even find it on the Internet. Googling the symptoms your car is experiencing and your car’s year, make and model brings up lots of good information including TSB’s. Your problem with getting information on the Internet is not getting enough; it’s getting too much. I Googled TSB’s on 2003 Toyota Camrys and came up with 58 TSB’s, including TSB SB-0015-11. I suppose some car owners might agree with the manufacturer’s philosophy and not want to be worried about TSB’s. If the chances are small that your specific year, make and model will have that problem, why worry about it? This is why people are divided over whether genetic testing for inherited diseases is a good thing. Speaking for myself, I would always rather be warned about a potential problem even if it probably won’t materialize. 6. Miscellaneous Truth-in-Lending and Truth-in-Leasing violations. What should be frightening to most of the car dealers of South Florida is that they are currently committing all of the above violations and many more. The newspaper, TV, Internet, and radio advertisements routinely violate all of these rules many dealers commit many, if not all of these, in a single advertisement. You might ask how they have been able to get away with it this long and the answer is lack of local and state regulation enforcement. Apparently this is not just a Florida problem, but a national problem which is why the Federal Trade Commission became involved. Basically, all the Federal Trade Commission rules say is that you aren’t allowed to trick somebody into coming into a car dealership by making them believe they can buy the car for less money than they really can. But, if you watch, read, or listen to 95% of the car dealerships in South Florida, this is exactly what is going on. Even the car dealers who don’t like to do this are drawn into it out of self-defense. 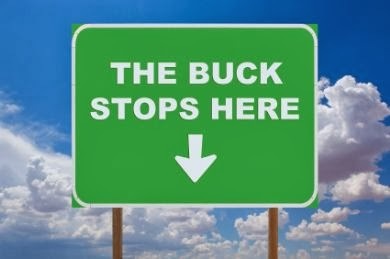 If a car dealer advertises an honest price, the other dealers advertise the same car for less by tricking the customer. The honest dealer loses the sale and the next time he advertises his mission is to out-lie the other car dealers. My advice to Florida car dealers is to clean up their act before the Federal Trade Commission comes to town. Making the national news because of sleazy advertising and being prosecuted and fined by the FTC is not good for your image or your business. 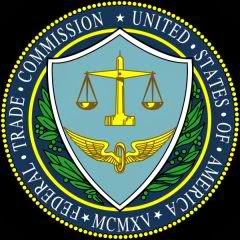 Auto manufacturers and car dealers associations should also take preemptory measures to ward off an attack by the FTC. Car manufacturers look the other way when they see their dealers running illegal and unethical ads. They are afraid to make their dealers stop for fear that the competitive makes won’t and they will lose market share. The car dealer associations are aware of the problem and would like to do something about it, but unfortunately there are too many dealers who run the associations that have their head in the sand (or another place I won’t mention in the interest of good taste). (1) Virtually no enforcement of state laws applying to car dealer advertising and sales practices. (2) The 2nd largest volume car market in the USA with all franchises represented. (3) A very powerful, well financed lobbying group, the Florida Auto Dealers Association (FADA) to keep the legislators and regulators “in their place”. (4) Lots of potential victims…a very large elderly population, a large population of recent immigrants or first generation Americans whose first language is not English. (5) A media environment dependent on car dealer advertising for survival. The newspapers, TV stations, and radio stations are afraid to tell the truth about what’s going on for fear of car dealers boycotting them, stopping their advertising. Local car dealer are the biggest advertisers. Without them, most newspapers, TV stations, and radio stations couldn’t survive. Those regular readers of my column know that my wife, Nancy and I were “fired” from the consumer advocate radio show we did for seven years on WSVU, Seaview Radio in North Palm Beach. This was after several car dealers threatened to not advertise unless they canceled out show, Earl Stewart on Cars. Time has just about run out and I’m optimistically forecasting that by this time next year we will see a significantly positive change in South Florida car dealer advertising and sales practices. If you would like to speed the process, To file a complaint in English or Spanish, visit the FTC’s online https://www.ftccomplaintassistant.gov/#&panel1-1 or call 1-877-FTC-HELP (1-877-382-4357). If you have read my earlier columns you know how important it is to get several competitive prices from different car dealers on the car you are buying. Equally important is to get at least 3 prices/bids on your financing and the true value of your trade-in. The absolute worst thing you can do is to tell the dealer “all I care about is keeping my payments under “$X per month” and not know what the interest rate, terms, or products are included in the payments. Part of the profit a dealer makes on his cars is called “F&I income” and averages from $500 to as much as $2,000 per car sold. You can do your homework and buy your car at a very good price, but by not shopping your financing you can pay the dealer thousands of dollars in finance profits. 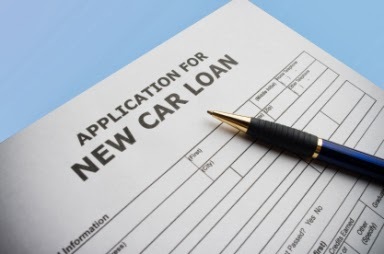 Credit unions are often the best source of funds for buying a car. Because they get special tax breaks from the government not available to banks, they usually have the lowest finance rates. Even if you don’t belong to a credit union, there are several you can join for a nominal fee. You should also get a financing quote from the bank you do business with. Also, give the dealer that you are buying from an opportunity to beat the rates you were quoted. Sometimes he can. When you are taking delivery of your car, you will be asked to consider buying products like extended warranties, maintenance plans, road hazard insurance, GAP insurance, roadside assistance, credit life insurance, etc. My suggestion is that you do not make a snap decision on these products at the last minute. You should get complete information on each product and determine if it has value for you. You may already have coverage for some insurance products in policies you already own. With extended warranties and maintenance be sure you understand what is covered and what is not covered and what the deductibles are. You should get at least 3 bids on the value of your trade-in. You can get some pretty good guidance from Kelly Bluebook, www.kbb.com andwww.edmunds.com. Make an appointment to drive your trade-in to show the used car manager at a dealer who is franchised to sell the make you own. A Chevrolet dealer will likely pay you more for a Chevrolet trade-in than a Ford dealer would. That’s because people generally will shop for a used Chevy from a Chevrolet dealer. Get one or two more bids from other dealers in the same make. If you are near a CarMax store, you should take your car there too. They regularly buy cars like this for their inventory. The price you will be quoted is referred to as the ACV which stands for “actual cash value”. This is the wholesale value of your trade in. Don’t confuse the ACV with the trade-in allowance that the dealer you are buying from gives you. The trade-in allowance includes part of the markup on the vehicle you are purchasing. You have probably read ads saying “MIMIMUM $4,000 ALLOWANCE ON ALL TRADES”. It’s not hard to offer thousands more on a trade-in than its ACV (true wholesale value) when you mark up the new car several thousand dollars more. Be sure that you explain that want to compare the ACV of your trade-in. Tell them you want the markup on the price of the car you are buying discounted, not added on to the ACV of your trade. Remember, however, that if you sell your trade-in to another party, you lose the advantage of deducing the trade-in from the price your sales tax in calculated on. At 6%, you would pay an extra $600 in sales tax for a trade-in with a $10,000 ACV. With competitive bids on the car you are buying, the interest rate on your financing, and your trade-in ACV you are sure to minimize the total cost of that new or used car. Congress passed a law a few years ago that really “shook up” publicly owned companies. It’s called Sarbanes-Oxley, named after the Congressmen who sponsored the bill. Basically this law says that the CEO and other high echelon management of a public owned company cannot get off the hook from wrong doings because he claims he didn't know what his employees were doing. I believe the same rules should apply to all businesses, even if their stock is not publicly held. The boss should always be held accountable for the actions of his employees and this should apply especially for car dealerships.